Christmas simply wouldn’t be Christmas without some classic, festive sitcom comedy so why not make a visit to 26 Oil Drum Lane, Shepherd’s Bush to catch up with the nation’s favourite rag-and-bone-men and indulge in their yuletide misadventures! Albert and Harold – united by blood, divided over everything else – seem doomed to spend Christmas in each other’s company. But Harold has his flights of fancy… including a flight he fancies abroad as well as to throw the biggest Christmas party London’s ever seen! His “dirty old man” Albert, of course, has other ideas… I mean, who wouldn’t want to spend Christmas at Mrs. Clifford’s B&B in Bognor Regis anyway?? 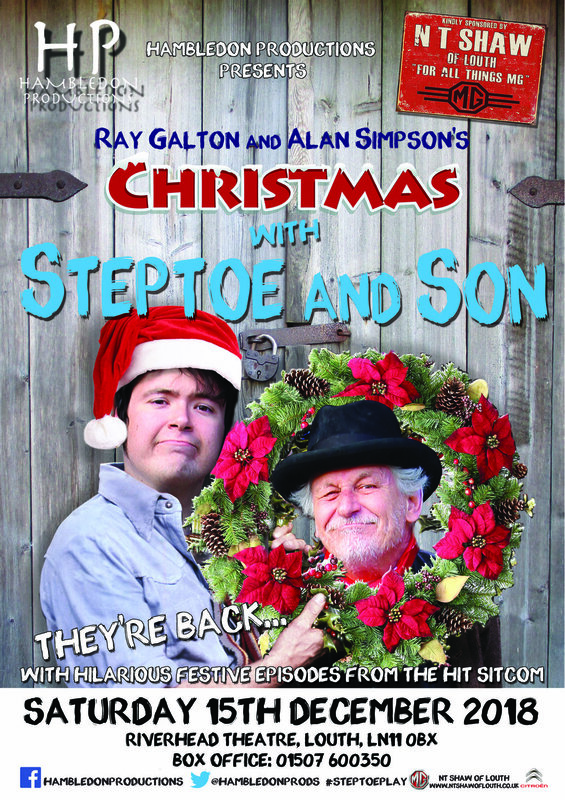 These much-loved episodes from Ray Galton and Alan Simpson have been freshly adapted for the stage and are presented by Hambledon Productions – the company behind the recent sell-out successes’ “Just Like That! The Tommy Cooper Show” and “Steptoe and Son”.